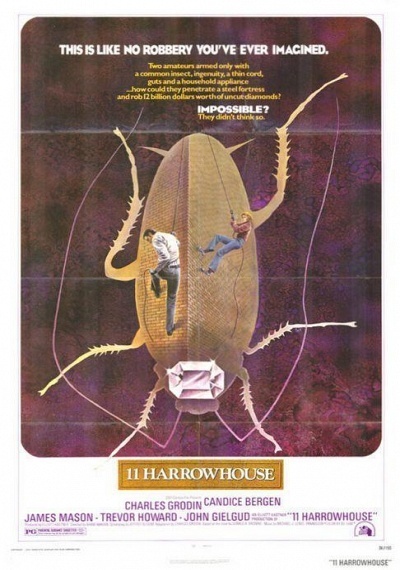 11 Harrowhouse :: Movie Information :: RabbitTV GO! Four brave, recently-turned burglars challenge all probability when they scheme to steal the jewelry from the vault of a key London diamond merchant. A small-time diamond merchant leaps at the opportunity to manage the purchase and cutting of a big, first-class diamond. When the diamond is snatched from him, he is blackmailed into pulling off a major heist at the Diamond Exchange, located at 11 Harrowhouse. The film is directed by Aram Avakian and stars Charles Grodin and Candice Bergen.